Alternate Memo – очень простая в работе программа для работы с буфером обмена. Может хранить там текст или картинки, а также сохранять содержимое в файл. Теперь вы сможете копировать бесконечное количество информации, все зависит от объемов оперативной памяти компьютера. 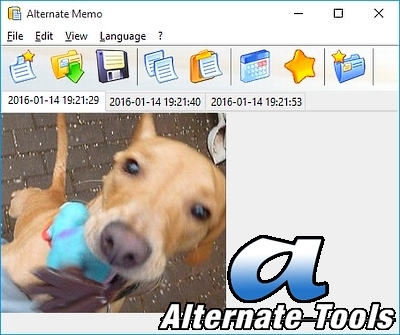 Alternate Memo is a simple program to manage the elements of the clipboard (pictures and texts). While running in the background the program is collection matching content on change of the clipboard. You may select how many clipboard entries shall be kept. The collected entries may also be saved to file and opened again for further usage. The program may also be configured in that way that any changes of the clipboard are directly saved to single files. Additionally it can listen to keyboard inputs and log them.